Wow! Hard to believe Lent 2016 is drawing to a close. How did the season go for you? Really? You weren’t as mindful of the time as you had hoped to be? Well, it is not too late to make these final days great by keeping them HOLY. It will really help you appreciate the Good News of Easter that much more. Pray more! Sure, Lent is obviously a time for increased devotion and prayer. But maybe you missed the boat. I bet for the next few days you could really step it up and add 10 – 15 minutes of prayer to your day. Maybe you can add a daily rosary for this week. You will be like a runner pushing themselves the hardest at the end of the race. You can do it! Fast or Abstain for the week! Am I crazy? Come on, it won’t be that hard to eat fish and veggies or eat simply for a few days. Also, it will do your body some good. There are no Church regulations saying you should do this, BUT there aren’t any saying you shouldn’t either. Seek out those who need your love! You haven’t been the only person who had a so-so Lent. There are those around you who need a kind word or some assistance. Maybe a home visit, some time helping with a difficult task, or a phone call is what is needed. Be HOLY by being Jesus for someone else. 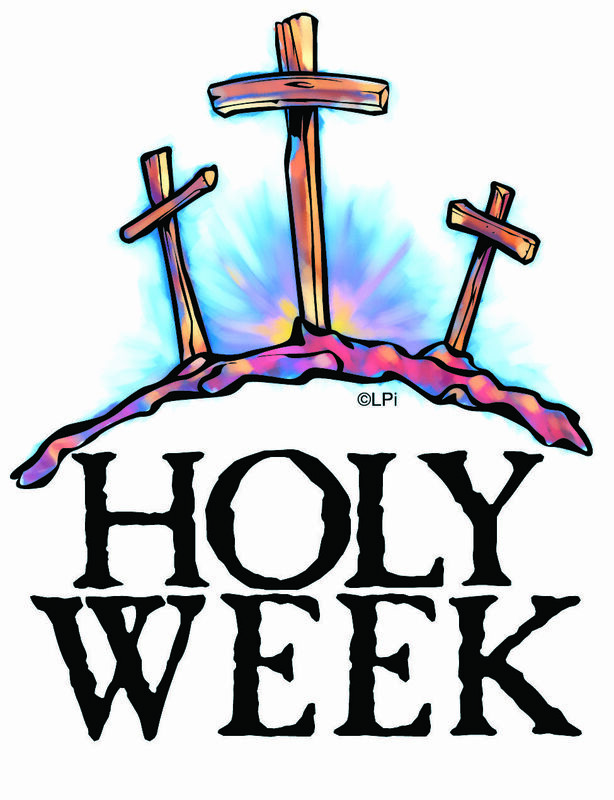 Go to the Triduum liturgies! Make your week HOLY by ending it with a mini-retreat of sorts. On Holy Thursday reflect on your own discipleship and stewardship. On Good Friday reflect on the Passion of Jesus and how His love for you compelled Him to sacrifice it all. At the Easter Vigil, reflect on your own Baptism and Confirmation as you join the community in welcoming new saints into the Church.